Kevin Le Blanc (The Island) driving at the 13th in the first round of the Irish Boys Under 15 Amateur Open Championship at West Waterford GC. 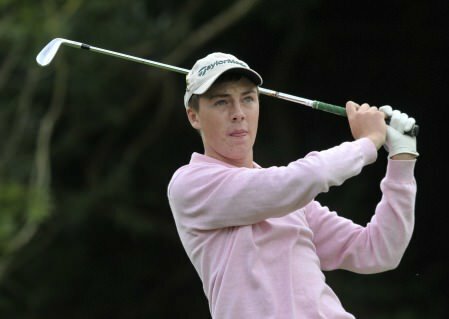 Picture by Pat CashmanKevin Le Blanc began his defence of the Irish Boys Under 15 Amateur Open Championship in fine style at West Waterford Golf Club, writes the GUI. Le Blanc fired a two-under 70 and leads by three shots from Balbriggan’s Tommy Doran, with a host of players a further shot back ahead of what should be a spectacular final round. Hermitage Golf Club. 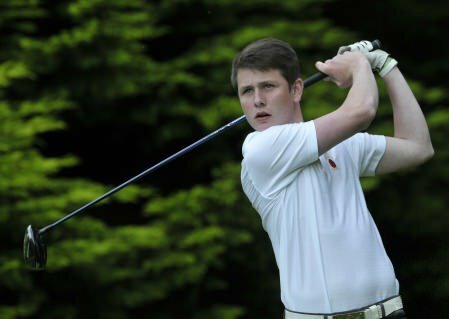 Picture courtesy weiunderpar.comBelvoir Park’s Gareth Lappin leads at the halfway stage of the Irish Boys Amateur Open Championship at Hermitage Golf Club in Dublin following a second round 73 to go with an opening 69 for a 142 level par total. Robin Dawson continues to impress this season. 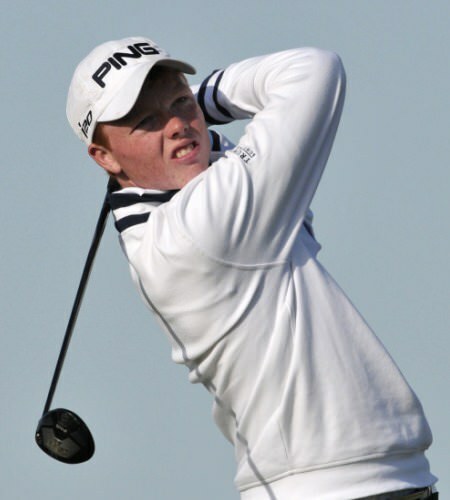 Picture by Pat Cashman Faithlegg’s Robin Dawson shot a splendid opening round of 67 - five under par - to lead after the first round of the Irish Boys Amateur Open Championship at an immaculately presented Lisburn Golf Club. Peter Cummins (Lurgan) winner of the Multicargo Ltd (Dublin Airport) sponsored Leinster Boys Under 15 Amateur Open Championship driving at the 18th at Beaverstown Golf Club (01/07/2013). Picture by Pat CashmanLurgan’s Peter Cummins fired a sensational 71 to win the Leinster U15 Amateur Open by three strokes from Adrglass’ Conor Hynds at Beaverstown. The Island’s Kevin Le Blanc (Centre) winner of the 2013 Leinster Boys’ Under 15 Amateur Close Championship at Ashbourne Golf Club. Pictured with from left Keith Ludlow (Captain, Ashbourne GC), Under 14 winner Jack McGarry (Rosslare), Under 13 winner Sean Dowling (Beaverstown) and Kevin McIntyre (Chairman, Leinster Golf, GUI). 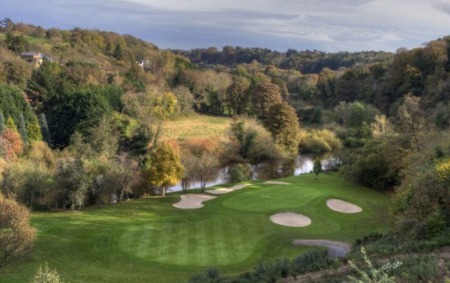 Picture by Pat CashmanThe Island’s Kevin Le Blanc contiunued his impressive run of form this season when he carded a one under 70 to win the Leinster Boys’ Under 15 Close Championship by a stroke from Glasson left-hander Sean Doyle at Ashbourne Golf Club. Ivor McCandless (President, Golfing Union of Ireland) presenting Kevin Le Blanc (The Island) with the Irish Boys Under 15 Amateur Open Championship trophy after his victory at West Waterford Golf Club to-day (21/08/2013). Also in the picture is Eddie Stack (Captain, West Waterford Golf Club). Picture by Pat CashmanThe Island’s Kevin Le Blanc successfully retained his Irish Under 15 Boys title in outstanding fashion, carding a second consecutive round of 70 for a four-under total of 140 at an immaculate West Waterford Golf Club, writes the GUI.